More specifically, the piece is concerned with notions of imposed restriction (the ‘ceiling’ of the title), with the concomitant spiritual reaction to—and transcendence beyond—such blind barriers. This is heard most prominently in the work’s fundamental conflict between two types of material, one noise-based, the other pitched and bell-like. 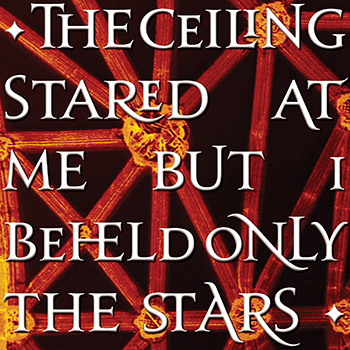 the Ceiling stared at me but i beheld only the Stars is dedicated to Michael Perry Goodman, perhaps better known to readers of 5:4 as Implex Grace. 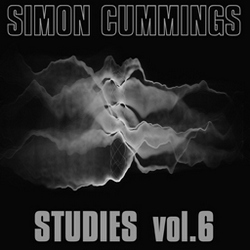 This release is only available in the form of a free digital download, in a variety of audio formats; to download, please visit simoncummings.bandcamp.com. Due to the extreme frequency range used in the piece, lossless (FLAC/Apple Lossless) is VERY strongly recommended. Download includes high-resolution artwork, PDF digital booklet and selection of desktop wallpapers. An ultra-high resolution version will be available soon. Copies of my first two CDs, Triptych, May/July 2009 and The Stuff of Memories are still available; for information, to hear excerpts and to order a copy, please visit www.simoncummings.com/shop. 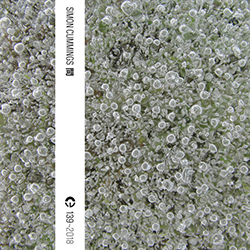 Both of these can also now be purchased as digital downloads from the Bandcamp site.